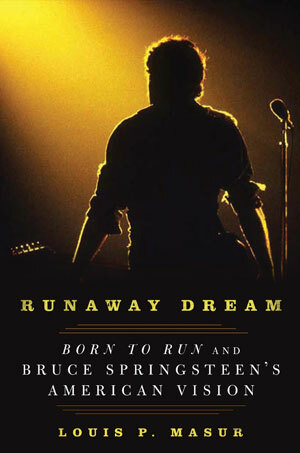 Louis Masur's book Runaway Dream: Born to Run and Bruce Springsteen's American Vision chronicles the making of the album that launched Springsteen and his E Street Band into the firmament of American art, deftly sketching the ambition, history, and personalities that combined to create the enduring Born to Run. Springsteen wanted Born to Run to be the greatest rock record ever made. For a musician with just two modest-selling LPs to his credit, it was an extraordinary ambition, and session-by-session, track-by-track, Masur shows just how much grit, as well as genius, went into realizing it. Runaway Dream offers an expert tour of the trials and triumphs of Springsteen's work. In addition to the story of the album itself, Masur masterfully places Born to Run within American cultural history, showing why the girls, hot rods, and Jersey nights of the album still resonate, even for listeners born years after its release. Masur's previous books include The Soiling of Old Glory: The Story of a Photograph That Shocked America, 1831: Year of Eclipse, and Autumn Glory: Baseball's First World Series.